Attorney General William Barr delivered a report of the special counsel’s Russia investigation to Congress on Sunday. By far the most significant finding in the four-page letter is that the special counsel did not find evidence that President Trump or members of his campaign conspired with Russians to influence the 2016 election. Barr also said that evidence was not sufficient to establish that Trump obstructed justice during the investigation. “The investigation did not establish that members of the Trump campaign conspired or coordinated with the Russian government in its election interference activities,” Mueller wrote in the report, according to Barr’s letter, which he sent to the chairmen and ranking members of the Senate and House Judiciary Committees. Barr also said that the special counsel, which consisted of 19 lawyers, found no evidence “that any U.S. person or Trump campaign official or associate” conspired or “knowingly coordinated” with Russian efforts to use social media platforms to spread disinformation during the 2016 campaign. Nor did Trump associates conspire with Russians in the efforts to hack Democrats’ emails and disseminate them online. That finding would seemingly clear current and former Trump associates like Roger Stone, Michael Cohen and Carter Page of allegations that they helped aid Russian hacks of Democrats’ emails. In addition to investigating collusion, Robert Mueller, the special counsel, also probed whether Trump illegally obstructed the FBI’s Russia probe, either by firing James Comey as FBI director or by shutting down other parts of the probe. According to Barr, Mueller’s report “does not conclude that the President committed a crime,” but “it also does not exonerate him.” Barr, who took office last month, said that after consulting with Justice Department officials, including Deputy Attorney General Rod Rosenstein, he determined that the evidence was not sufficient enough to show that Trump obstructed justice. Barr revealed in his letter that nearly 2,800 subpoenas were issued and 500 witness interviews conducted during the investigation. Barr said in a letter to the Judiciary committees on Friday that he would provide Congress with Mueller’s conclusions from the investigation, which focused on whether members of the Trump campaign conspired with Russia to influence the 2016 election and whether President Trump obstructed justice. The Justice Department is not required to provide the entire report to Congress. Instead, regulations governing special counsel’s investigations require only that the attorney general inform Congress about decisions to issue indictments or decline indictments. Mueller indicted 37 individuals and three Russian companies during the investigation. Six Trump associates pleaded guilty or were charged in the probe, though none were charged with conspiring with Russia. 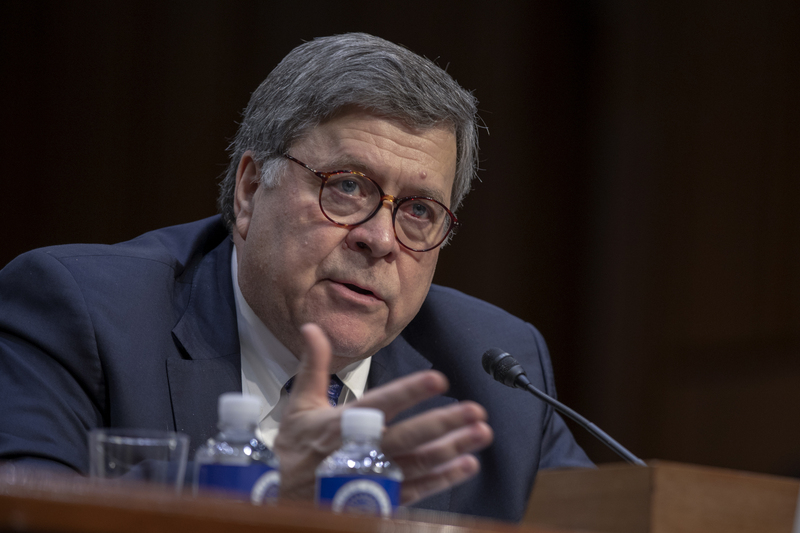 Barr’s delivery marks a significant milestone in the investigation, but it will now touch off a new waiting game for a release of more details from the probe. Democrats have already said that they are unwilling to settle for a mere summary of Mueller’s findings. House Judiciary Committee Chairman Jerry Nadler has said he will subpoena the Justice Department for the report, and House Intelligence Committee Chairman Adam Schiff has suggested subpoenaing Mueller himself. Some Republicans, likely emboldened by the belief that the report undercuts theories of collusion, have also said that they support Mueller’s findings being made public.